Violet flower (Viola) comes in many different forms and species. Some are perennials, some are annuals, and some are biennials. 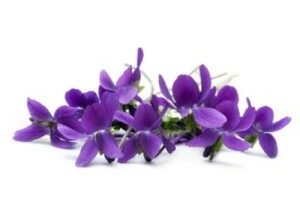 If you choose your selections carefully, you could have Violets growing all throughout different times of the year. One of the more popular versions of this flower is Pansies. Pansies typically grow in the springtime or in the summer. Some regions however, do have them growing in the winter. They can be either annuals or biennials. The Pansy can come in many different colors. Some are even blessed with two colors! They comes in blue, lavender, purple, red, rose, maroon, pink, orange, gold, yellow, and white. It seems like they come in every color of the rainbow! You can mix and match these plants to your own tastes. Any color combination you like will not fail with all these beautiful colors to choose from. I plant these flowers every year, in a large clay flowerpot right beside my rhododendron. They look gorgeous together. Personally I tend to use purple, pink, and yellow pansies. I just feel as though that color combination brightens up the yard at the front of my house. You can begin to plant these flowers in the beginning of spring. Plant them a few inches deep into rich soil. Water them as needed, as your pansies should last you through the whole season. Another species is Johnny jump up. They resemble Pansies and usually come in colors such as blue, yellow, and purple. They can be either perennials or biennials. These can live in the winter, if you live in the South. In the Northern regions, they grow in the spring and summer. 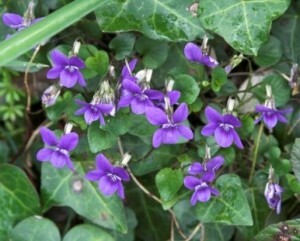 Sweet violets are the tiny purple flowers you may sometimes see, growing among luscious green foliage. They spread rapidly wherever you may place them, and they have a very nice fragrance to them. You will usually see Sweet violets in shades of purple or white. They are a ground covering plant that grows only to be about 6 inches tall from the ground up. Plant these as a border to your flower garden, and it will be sure to be a hit! If they grow out of control, simply cut them back to clean up their look. The Viola is a very delicate type of flower. Whatever species you decide is best for your region and garden, you can’t go wrong!